Ferrari is THE quintessential luxury brand. The Italian carmaker is based in Maranello, Italy. The company was founded by Enzo Ferrari in 1947 and is considered the best automotive brand known throughout history worldwide. Builder series of sports models, Ferrari is a car reference. The design of its cars and their technology are showing great quality. 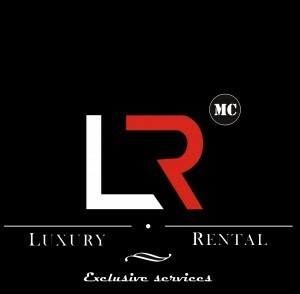 Mc Luxury Rental always looking for the best for its customers offers the most known Ferrari models. First with the California model also declined in California T.
The model 458 is meanwhile available as a Coupe or Spider. This model is powered by a V8 engine worked very aerodynamically sound design is very sleek in order to reach high speeds. The interior is contrasted with the outside, everything is covered in leather and numerous electronic controls. The Spider version but a sunroof features and sports car design do not change. The Ferrari 458 will be replaced by the 488 GTB, which is also available in version of Spider. V8 engine at the rear door power to 658 horsepower. Its design is reworked although it looks like the 458, a front more aggressive, wings dug to supply the air motor. A design that remains aerodynamics. His Spider convertible version is based on the same principle with a sunroof allowing it to be lighter. It was presented in 2015 at the automobile show. Finally sport F12 model, elegant, chic, modern was established in 2012. Equipped with a V12 engine is one of the most powerful road models ever offered by the Italian manufacturer from Maranello. 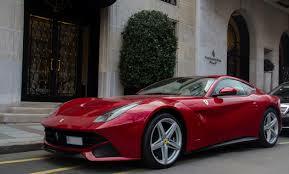 Found in the design of the typical traits Berlinetta Ferrari. Its appearance depends on the aerodynamic conditions. A powerful model that will capsize your heart. 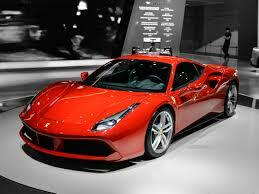 Again Mc Luxury Rental offers the best models of the prestigious Ferrari brand. We will help you find the model that suits you. Do not hesitate.